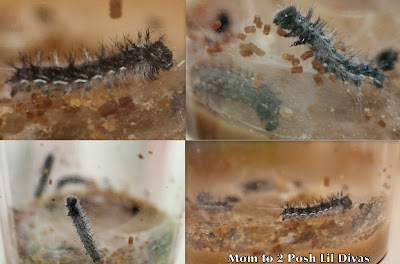 A few weeks ago we got our caterpillars from Insect Lore. so I was excited to do it again with them this year. and they were happily eating in transit. Day 5 - we woke up to 2 chrysalis! in the pavilion & hoped for the best. 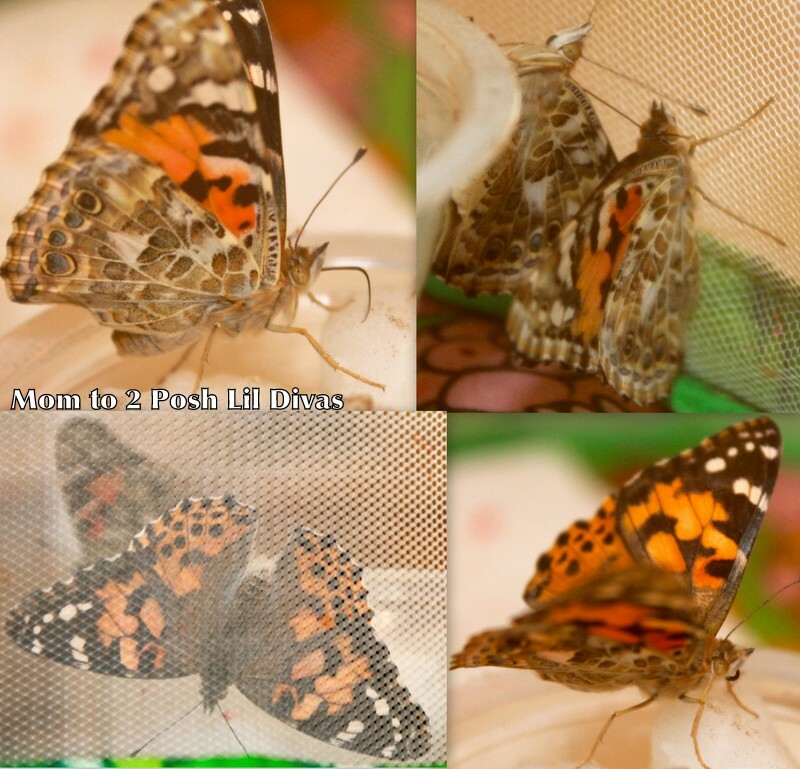 In less than a week our first 2 butterflies emerged. The Lil Divas were so excited to see them. The Painted Lady Butterflies were beautiful. all 5 of our butterflies successfully emerged. 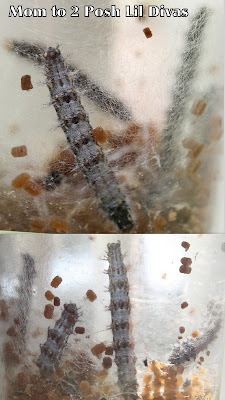 We fed them orange slices and sugar water. It was wonderful to observe them. 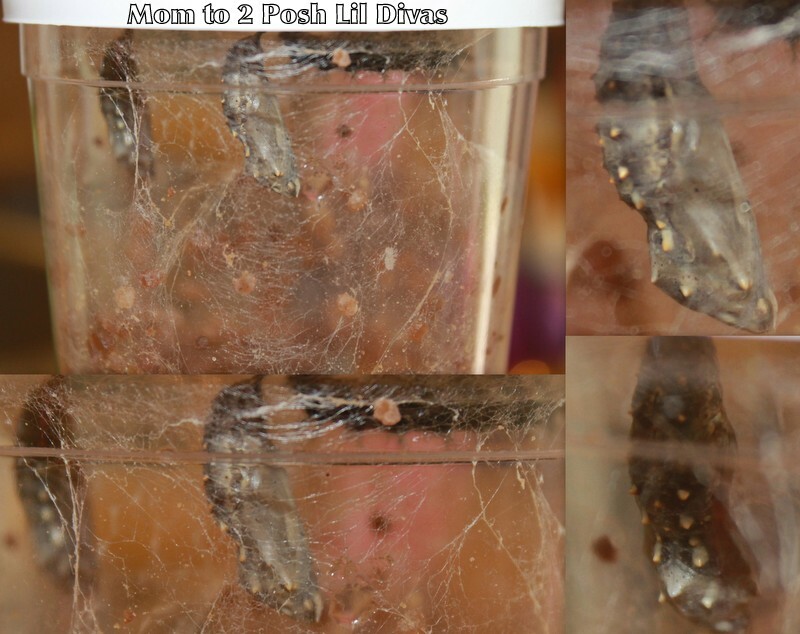 The Lil Divas watched them eat, walk and eventually fly. we had a releasing ceremony outside. We were sad to see them go but also proud of our little friends. 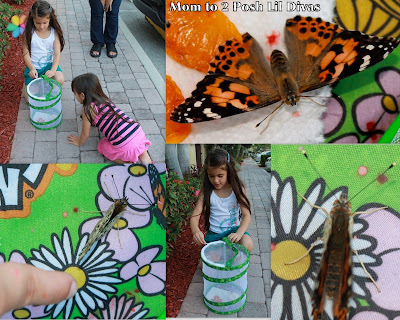 to be able to observe the life cycle of a butterfly firsthand. Gorgeous photos!!! Ours were late this year and a lot bigger than before too. We currently have 4 hanging chrysalises and 1 on the bottom also. Did yours survive? I can't wait to show the kids your pics later!